Gwendolyn knows that all too well. After her first husband died, she fell for the king of all losers. She is still recovering from his mental and physical abuse. She has rebuilt her shattered life on her own with the help of friends and family. Speaking of family, how did her son's father-in-law become the knight in shining armor she never knew she needed? Denny Ashley lost the love of his life to brain cancer. He is not sure he has what it takes to help another woman he loves win the battle of her life. 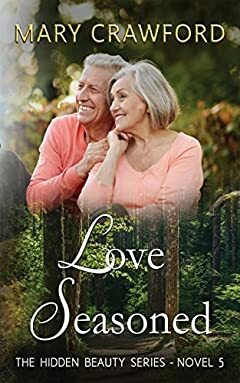 Can Denny and Gwendolyn discover that love seasoned by time is the best kind of all? You'll love this story of mature love and triumph.